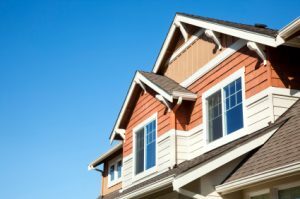 With over 100 years of expertise altogether in Aledo, TX, it is no wonder why so many homeowners in the area choose Best Buy Windows & Siding’s exceptional home improvement products and services over the competition. We have been selling and performing high-quality installations of custom windows, vinyl siding, and patio covers for the past 30 years throughout the entire North Texas region. Best Buy Windows & Siding, LLC takes quite a bit of pride in the services we deliver and the customer service we offer to each and every individual we work with. Homeowners and businesses throughout the area trust that we can get the job done the right way without any extra hassle or overcharging, all while keeping you in the loop the entire time.Our experts are awaiting a call from you today so that we can begin our exceptional work. Through our years of experience, Best Buy Windows & Siding has worked with various types of windows, the very best vinyl siding in the industry, and completely custom patio covers. On top of such fantastic service, we also offer expert advice to ensure each homeowner receives the very best quality product and service for their home. Our technicians will speak with you one-on-one to determine exactly what you are looking for and the best approach to achieve such a goal. Whether you require a more energy efficient home overall, better insulation to keep the interior warm during the winter and cold during the summer, or an increase in resale value in preparation for a big move, we can satisfy your needs by treating you like more than just a new client. Our expert technicians are happy to discuss the job and our services with each home or business owner in the region, allowing us to connect with the people we are working for at the time.